Following a tough loss on the road to a strong TCU team the Gators are back in Gainesville for a chance to pick up a much-needed win against the surprisingly talented Ole Miss Rebels. Picked to finish last in the SEC by media members in the preseason the Rebels have silenced doubters with a solid 14-5 record which at one point saw them in the teens of the AP Poll. After losing 3 of their last 4 they have since dropped from the poll but this is still a quality team that could give the Gators trouble in the O’Dome. Ole Miss will look different than the teams of the past decade-plus after long-tenured coach Andy Kennedy was fired in the offseason and replaced by Kermit Davis, one of the most sought-after coaches of the last few seasons due to the success of his Middle Tennessee State teams. 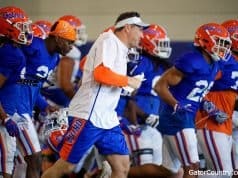 His early progress with a roster that struggled last season shows his coaching ability already and I’m sure he’ll have his team ready to take on the Gators. Last season’s matchup saw Ole Miss come away with a 78-72 win. The Gators struggled mightily at keeping senior guards Deandre Burnett (20 points and 6 assists) and Markel Crawford (17 points) out of the paint and seeing them graduate will bring a sigh of relief to Coach White and all the returning Gators. Unfortunately the Rebels do return post player Bruce Stevens who lit the Gators up for 22 points on 7-10 shooting from the field, an efficient game that saw him getting everything he wanted down low. 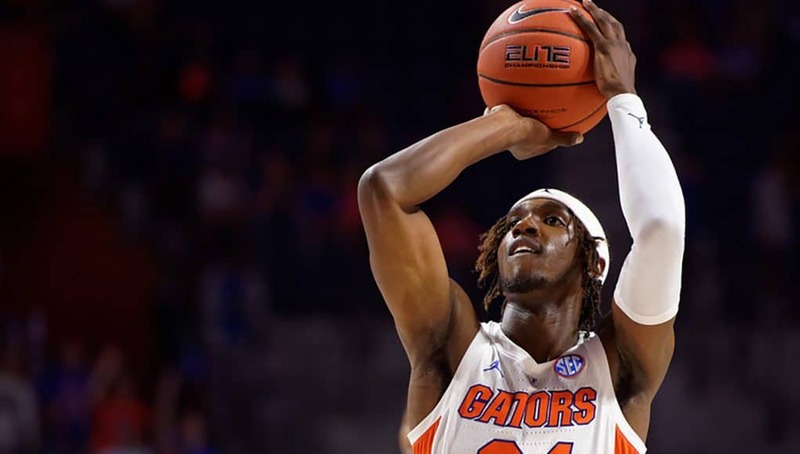 The Gators will have to deal with him again this season and will try to limit that point total though it will be tough with their depleted frontcourt. Only averaging 8.3 points per game this season Stevens isn’t exactly dominating the SEC though the Gators have had a way of allowing frontcourt players to have career games against them. One wacky stat from last season’s matchup was the fact that Keith Stone, a player not known for drawing many fouls, shot 18 free throws (hitting 13 of them) on his way to a 23 point game. Stone had a tough season before his devastating injury but a look back to his 23 point game shows that there is a great talent there, hopefully one that comes back next season after he recovers. How Has Ole Miss Been Winning Games? Entering this season you may have been in the same boat as many media members and myself who didn’t expect Ole Miss to be that good. Obviously they have proved us wrong, so how have they overcome a bit of a talent gap to win so many games? The answer is excellent guard play from Breein Tyree and Terence Davis. When you’ve got a good backcourt a lot of your other problems are mitigated and the ability Tyree (17.3 points, 2.9 assists) and Davis (15.8 points, 3.5 assists) can control the game with the ball in their hands has been a revelation. Having one guard that can dominate is great but having two that can use the dribble to get into the paint, set up teammates, or create space for a pull-up jump shot is amazing. This duo makes Ole Miss pretty difficult to guard, especially in the clutch time of games where the pace slows down and the game becomes isolation-heavy. The Gators will definitely be focusing on these two and how they choose to defend them could determine how this game swings. Though Tyree is the slightly better scorer by the numbers I think Davis’ physicality will make him the tougher matchup for Florida. He’s extremely strong and can bull his way past smaller defenders and I could see that causing some issues for Andrew Nembhard or Noah Locke. I think I’d prefer to see KeVaughn Allen take that matchup while one of the other two Gator guards checks Tyree though you know the Gators are going to do a fair amount of switching. If the Gators can slow those two down they’ll be in pretty good shape. Kermit Davis was known for stout defense while at Middle Tennessee State but in his first season at Ole Miss with a roster he didn’t recruit the Rebels have been quite porous at times on their end. Currently 71st in the country in adjusted defensive efficiency they are far from elite in that area and the Gators will hopefully be able to get some much-needed offensive rhythm on their home floor against a team that isn’t always great at guarding. The Rebels are particularly struggling at defending the three-point line, allowing teams to shoot 35% from the land beyond. For a Gators team that loves to get threes up that is good news but I’m sure Ole Miss will be aware of Florida’s desire to put up the long ball and will try to force them inside. The Rebels will change defenses often and they mix in a 1-3-1 zone, something that Coach Davis did a lot at Middle Tennessee State and has brought over. The Gators haven’t seen as much zone as they did last season but I have a feeling Ole Miss might throw a few at them to see how they react. The Rebels are a great 3-point shooting team with multiple flamethrowers on the perimeter. With Terence Davis (40.9%), Devontae Shuler (38.7%), Breein Tyree (38.1%) and Blake Hinson (36.8%) all great shooters who all see the floor for a lot of minutes they can really challenge a defense. As I mentioned before Davis and Tyree are both really talented off the dribble and with the way Ole Miss can space the floor with good shooting defending the drive can be a major issue for opposing teams. This will be a game where Florida’s perimeter players need to be able to guard in space and if they can’t things could fall apart quickly. Strong individual defensive performances will result in a strong team defensive game but it will all start with being able to contain the dribble. As of today Florida fell to 100th in KenPom’s adjusted offensive efficiency ranking. Steadily falling over the last few weeks the fact they are now one spot behind Central Michigan and one spot ahead of Iona really puts into perspective where their offense has been. Ole Miss isn’t a great defensive team and this could give the Gators a chance to kickstart the offense though I’m not exactly holding out hope. It’s pretty late in the season for any major offensive adjustments and I think this is going to remain a team that relies on it’s defense to win games. After a monster 5-block performance against TCU Kevarrius Hayes is now 3 blocks from being second in the Gators all-time blocked shots category passing Al Horford who currently has 189 swats. Against TCU he passed Joakim Noah for third and with the names I’m throwing out here you can tell this is a pretty impressive list. Unfortunately, Hayes won’t be catching Dwayne Schintzius who holds the record with 272. After Deandre Burnett and Markel Crawford dominated the Gators with their ability to drive last season I have some serious concerns about Breein Tyree and Terence Davis doing the same thing. 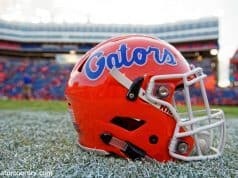 Slowing those two down could mean victory for the Gators but that is definitely easier said than done. Bruce Stevens could also give the ultra-thin Gator frontcourt problems but he hasn’t had a super productive season so far and I’m not sure Kermit Davis will use him as a central figure. 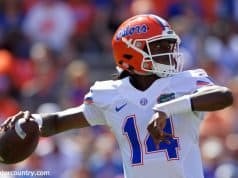 It would be great for the Gators to move the ball and make the subpar Rebels team have to move their feet on defense and if they do so then they should be able to get some good lucks. Being on their home floor will hopefully mean a lot of three point makes for the Gators and if that’s the case than they should come out victorious.